Jim Warne, a former NFL player, actor, award-winning filmmaker, and Oglala Sioux tribal member, delivered a motivational speech to the participants in the statewide business plan competition during the Lakota Nation Invitational (LNI) that took place mid-December at the Rushmore Plaza Civic Center. The newly-elected Oglala Sioux Tribe President, Scott Weston, also dropped in during the competition to show his support and offer words of encouragement to the youth entrepreneurs. 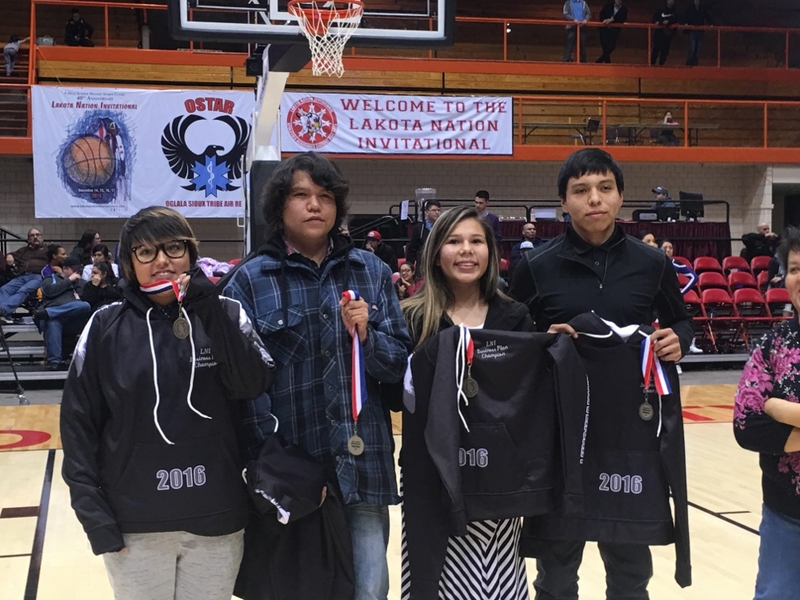 Eighteen youth from Cheyenne-Eagle Butte High School, Little Wound High School, and White River High School entered the contest. Tanner Haukaas from White River won the top prize – a $1,000 scholarship – as the 1st Place Award in the Senior Division for his wood supply business idea. Business ideas presented in the competition included a transportation company, a youth camp, electronic repair service, and restaurants. All competitors were required to deliver a presentation to a panel of three judges comprised of business development professionals. The entries were judged on several criteria, including market opportunity, management and operations, and financial projections. This year’s LNI business plan competition was sponsored by Four Bands Community Fund, Lakota Funds, the Oglala Sioux Tribe Office of Credit and Finance, Thunder Valley Community Development Corporation, and the South Dakota Community Foundation.